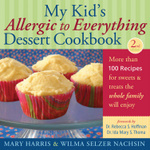 Dr. Ida Mary S. Thoma provided a foreword for My Kid's Allergic to Everything Dessert Cookbook. 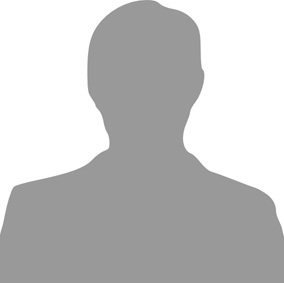 She had an extensive teaching and research career and was a pioneer in the field of children's allergies. Created with the idea that a child's diet should be healthy and fun, this inviting and easy-to-use cookbook features more than 100 delicious allergy-free dessert recipes that exclude common allergens such as corn, cow's milk, egg, peanuts, and wheat. From birthday cakes and cupcakes to chocolate-chip cookies and banana cream pie, these recipes expertly substitute rye flour, carob, almond milk, and other ingredients for foods children may be allergic to. This second edition includes updated substitution charts enabling any cook to convert family favorite recipes into allergen-free delights, and a buying guide shows where to find special ingredients. In addition to desserts, a chapter covering breakfast ideas includes recipes for pancakes, smoothies, waffles, and granola bars. This cookbook also addresses the allergy and environmental food concerns that parents and caregivers face today as more and more children are diagnosed with multiple food allergies. Helpful tips cover how to avoid allergic foods while traveling, great snacks to take along for the ride, and how to create an allergy-free home.